Proteas is a solar facility locate in Pentakomo, in the southern part of the island of Cyprus. 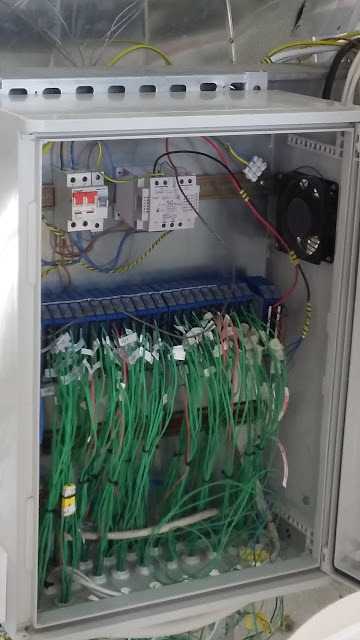 The facility launched on 3rd October 2015 and it is currently used for scientific purposes. 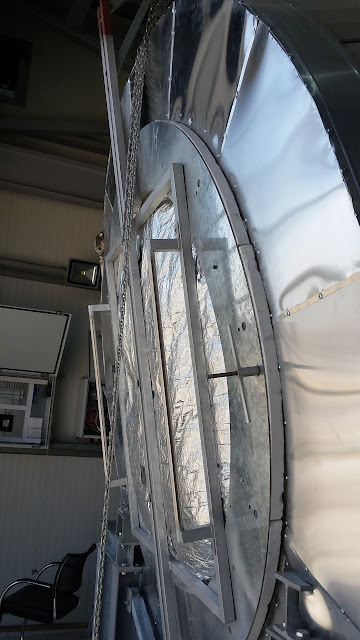 Some days ago we were lucky to attend a tour from the Cyprus institute researchers on the facility and have a close look at the installation. I include some photos from our visit. The facility is actually a Concentrated Solar Power and thermal De-Salination of Sea Water. Mirrors reflect the solar rays to a specific point in the tower. 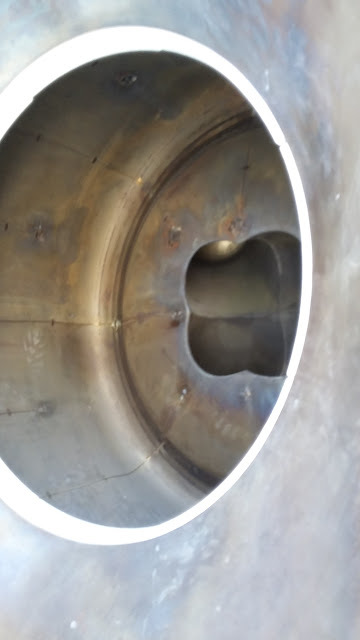 It is designed to use molten salt, although it is still not operational. You can find more information regarding The Cyprus Institute and Proteras here. 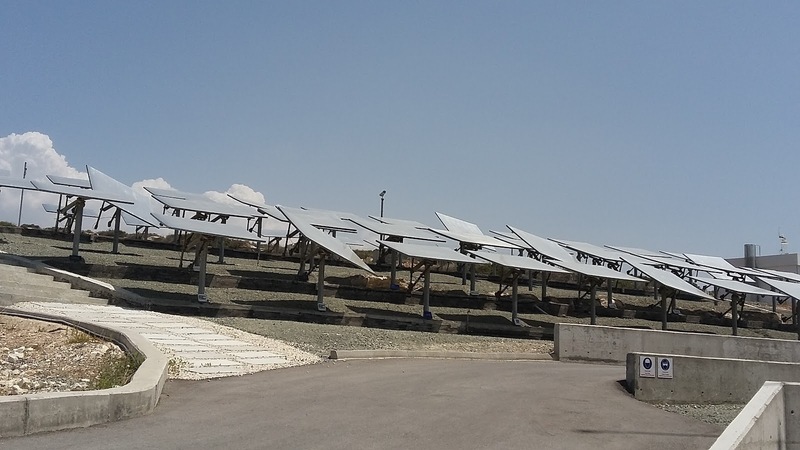 Reflecting mirrors at the Proteras solar facility in Cyprus. 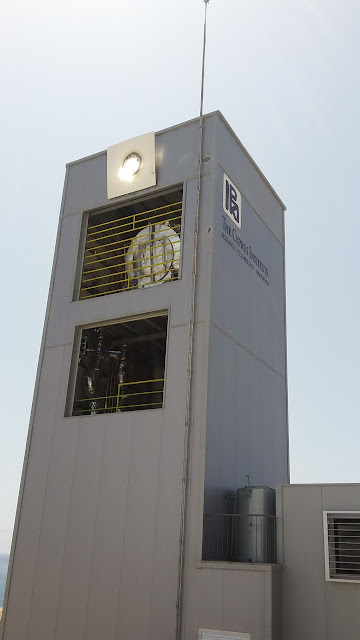 Solar tower of the Proteras solar facility in Cyprus. 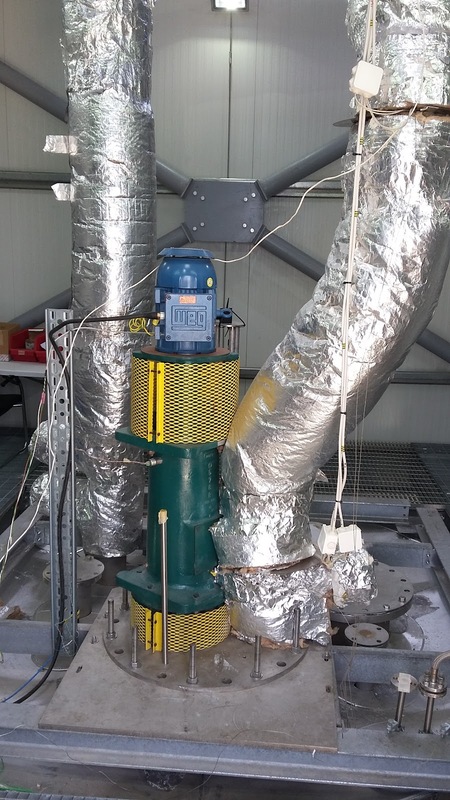 The white block at the top is used for calibrating and measurements, as it contains multiple temperature sensors. Due to a small accident last week, more than one array was concentrated in the area, making it burn. Not operating at the moment we took the picture. 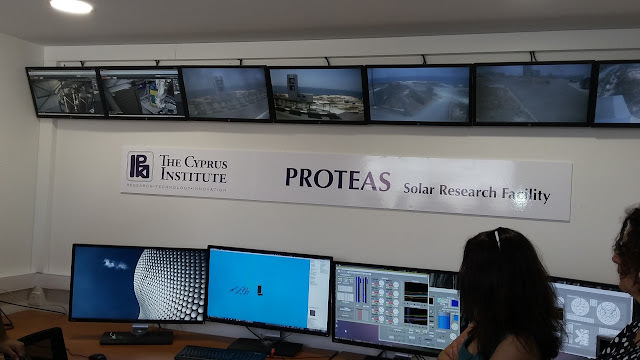 The control room of the Proteas Solar facility in Cyprus. You have full control of the mirrors, operation of the machines, and multiple cameras for checking the situation outside. Pump of molten salt in the Proteas solar facility in Cyprus. Concentration area of solar rays in the Proteas solar facility in Cyprus. Concentration area without the protective lid of solar rays in the Proteas solar facility in Cyprus. Sensors of the facility in the Proteas solar facility in Cyprus. 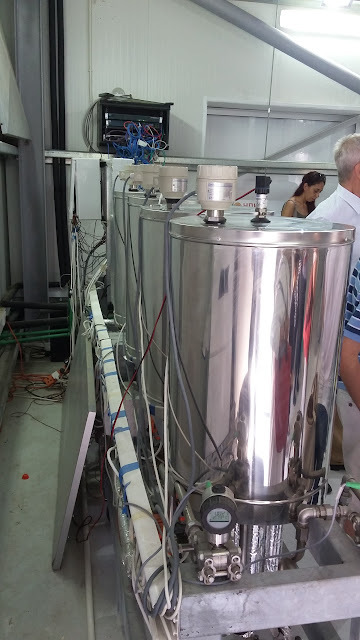 De-Salination machine in the Proteas solar facility in Cyprus. Not active when we visit the facility. Can produce some 10s liters per day, ideal for using it for cleaning the reflecting mirrors.